Translation of this shop sign would help to document a portion of the economic history of this neighborhood. 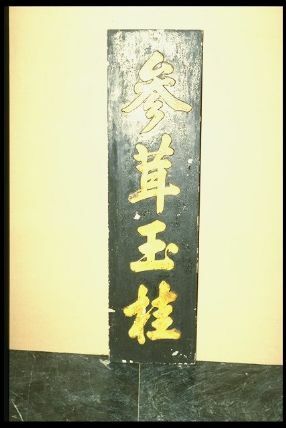 It is likely that the language is Cantonese, the dialect used in Southern China, which was engaged in foreign trade long before military oppression and American labor recruitment in the mid-19th century brought immigrants to “Gun San” or the “Land of the Golden Mountain,” as the Cantonese referred to the West Coast of the United States. Not only did Chinese pan for gold in San Francisco. 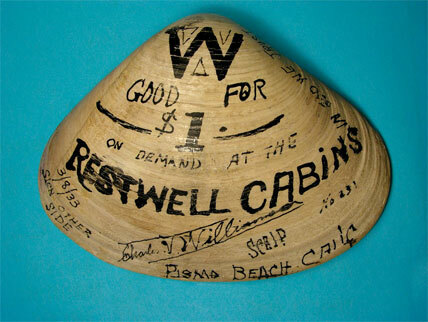 They labored excavating coal, mercury, and borax, building railway lines and tunnels, and working for fisheries and canneries throughout Far West. Economic depression in the late 1800s brought fear, discrimination, and violence to established Chinese communities. Successively restrictive acts of Congress prohibited further Chinese immigration beginning in 1882, with continuing restrictions of civil rights until the Immigration Law of 1965 eliminated such restrictions, bringing a new wave of migration to the United States from Asia. Virginia Lee Mead wore this salmon-pink silk satin dress when she was a young woman living in New York City's Chinatown, where her father, Lee B. Lok, a first-generation immigrant, ran a general store. 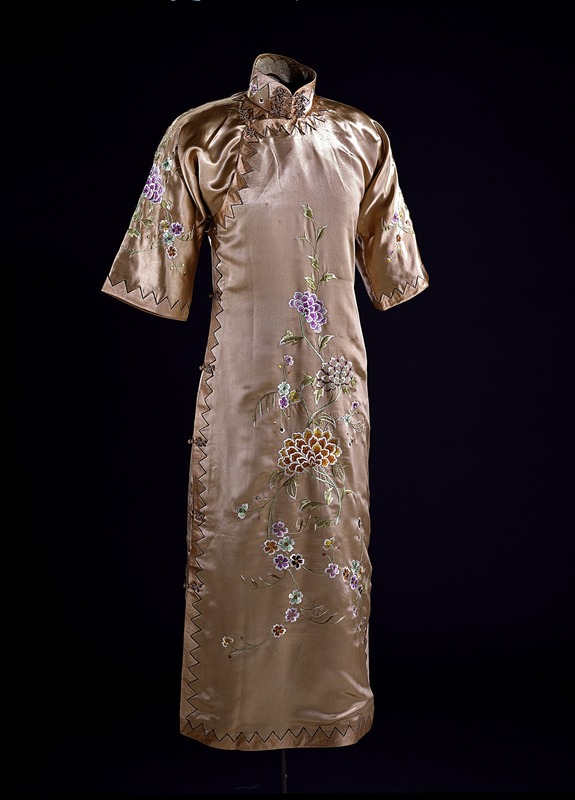 The full-length dress is a traditional style that younger second-generation Chinese women wore to formal celebrations during the 1930s. "When I was a child, I really didn't know I was American," recalls Lee. "I had no idea. I mean, we lived in a Chinese community and everybody was Chinese, so we [were] Chinese." 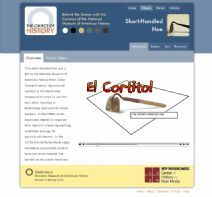 This object-based learning activity revolves around the short-handled hoe, the bracero program, Cesar Chavez and the organizing of Latino farm workers in the American southwest after World War II. 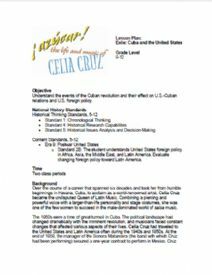 Students will learn about the role of Mexican guest workers in American agricultural history. 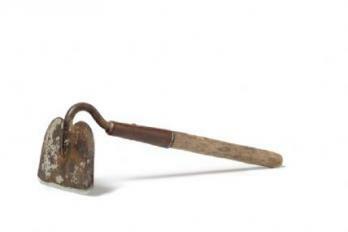 After exploring the short-handled hoe and its importance as a source of historical information, students will visit the forum section of the site to hear NMAH curators and historians discuss the object and then use what they have learned to complete the Virtual Exhibit Activity. This resource is included in The Object of History, a cooperative project between the Smithsonian's National Museum of American History and George Mason University's Center for History and New Media.